Web Hosting - Website Builders - eCommerce Software. 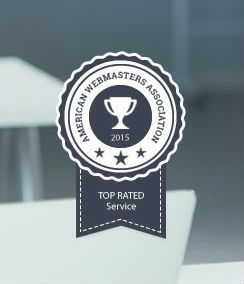 At American Webmasters Association (AWA), we stand behind accurate data and real-life scenarios to guide you in making solid business decisions that affect your future. We value your membership and give back to the communities in which you live and work, creating business successes along the way. As technology evolves and providers’ services continually improve, we seek the most up-to-date information and keep you informed for making choices with purpose. AWA is committed to offering members comprehensive, accurate information toward successful personal and professional endeavors. We ensure favorable outcomes in the community and foster common interests in the sharing of knowledge, resources, and tools for your benefit. When it comes to web hosting, website building, and eCommerce, you can count on AWA to support your interests and give you an edge for next-generation selling and customer experiences.